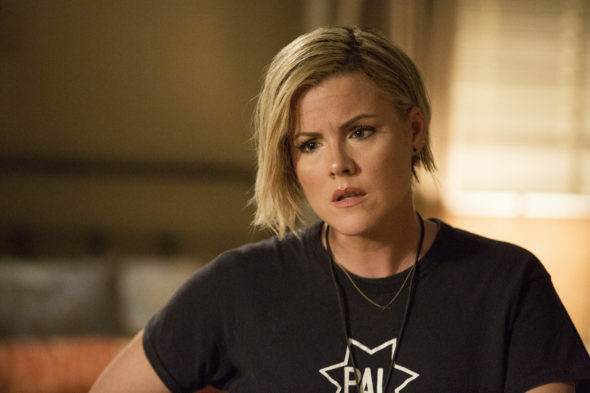 Check out photos from TNT‘s rescheduled third season premiere of the Murder in the First TV show, starring Taye Diggs and Kathleen Robertson. Murder in the First season three will now premiere Sunday, June 26, 2016 at 10:00pm ET/PT. Delaying The Last Ship‘s two-hour season three premiere, in response to the Orlando shooting massacre, necessitated this scheduling tweak. 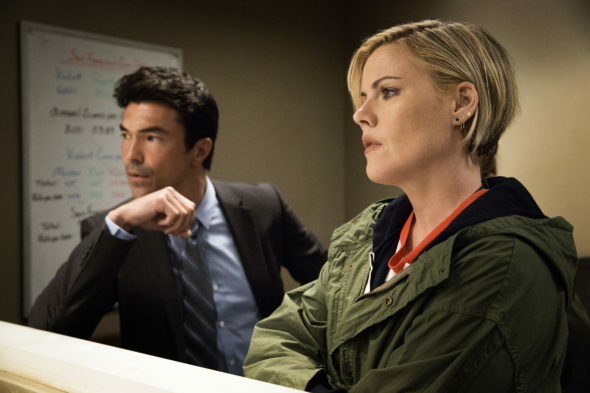 The Murder in the First season three premiere had originally been slated for June 19. 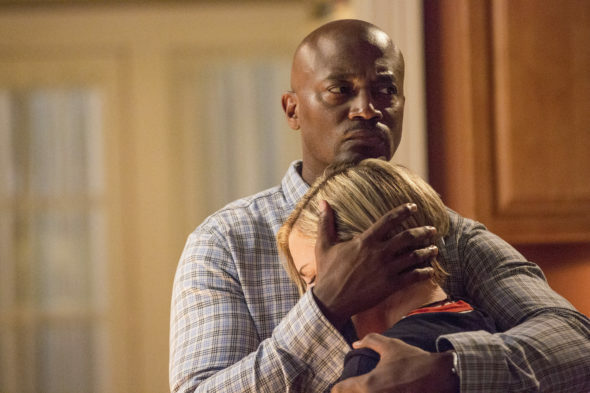 The Murder in the First TV series cast includes: Taye Diggs, Kathleen Robertson, Corey Reynolds, Michael Gaston, Sara Paxton, Raphael Sbarge, Lombardo Boyar, Ian Anthony Dale, Currie Graham, and Mimi Kirkland. Get the Murder in the First season three details from this TNT press release. 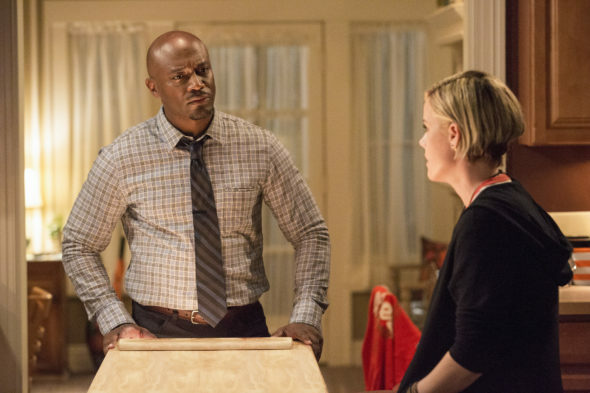 Taye Diggs & Kathleen Robertson Star in Powerful Crime Drama from Steven Bochco. This summer, TNT will once again take viewers deep inside a complex murder investigation with the return of the powerful crime drama Murder in the First. 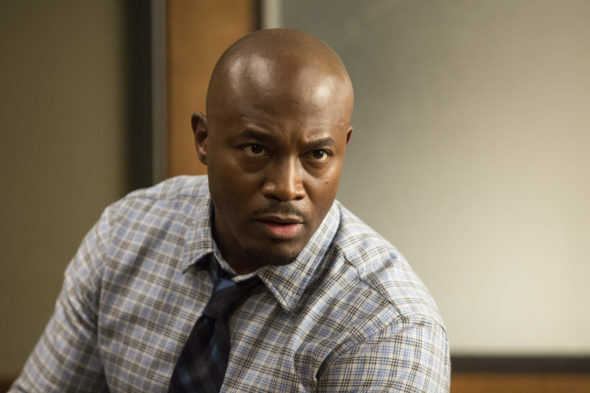 Created by 10-time Emmy® winner Steven Bochco and Eric Lodal, Murder in the First centers on a pair of San Francisco detectives – played by Taye Diggs (Private Practice) and Kathleen Robertson (Boss) – who investigate tough crimes that put the city on edge. Season 3 of Murder in the First is set to launch Sunday, June 26, at 10 p.m. (ET/PT) on TNT’s linear, mobile and digital platforms. As with the first two seasons, TNT will make episodes of the third season available on-demand the day after they air and will continue to make them available until after the season is over, allowing viewers to catch up on past episodes at any time. In the thrilling third season of Murder in the First, Homicide Inspectors Terry English (Diggs) and Hildy Mulligan (Robertson) are thrust into the tangled world of sports and celebrity when a pro-football player is murdered. As their investigation hits various twists and turns, the Inspectors are faced with their own, personal tribulations, compounding the cascading pressures of the case. Meanwhile, the city’s prolific District Attorney has his pedal to the metal as he attempts to stay afloat after an unfortunate tragedy threatens his livelihood. Joining the cast of Murder in the First this season are Corey Reynolds (The Closer) as Assistant District Attorney Martin Reardon, Michael Gaston (The Mentalist) as defense attorney Alfred Arkin and Sara Paxton (Twin Peaks) as Alicia Barnes. Returning series regulars include Raphael Sbarge (Once Upon a Time) and Lombardo Boyar (The Bernie Mac Show) as Homicide Inspectors David Molk and Edgar Navarro, Ian Anthony Dale (Hawaii Five-0) as Lt. Jim Koto, Currie Graham (Raising the Bar) as Chief Prosecutor Mario Siletti and Mimi Kirkland (Safe Haven) as Hildy’s daughter, Louise. Murder in the First is produced by TNT Originals, with Bochco serving as executive producer. 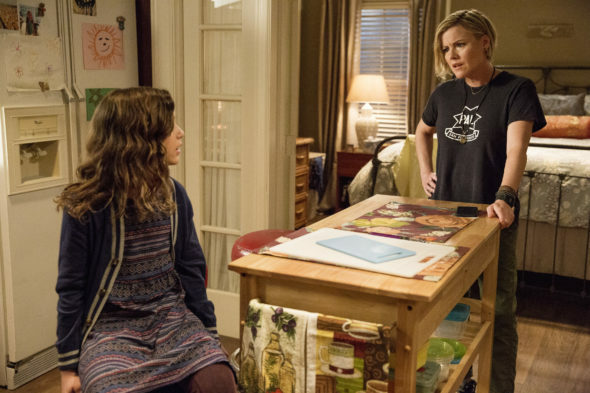 The series launched as one of basic cable’s Top 10 new series of 2014 and went on to reach more than 5.6 million viewers per episode across multiple platforms in its second season. What do you think? Have you watched the first two seasons of the Murder in the First TV series? Do you plan to check out the third season premiere on TNT? 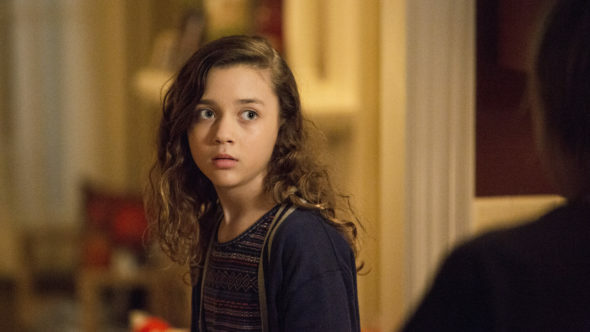 More about: Murder in the First, Murder in the First: canceled or renewed?, TNT TV shows: canceled or renewed? 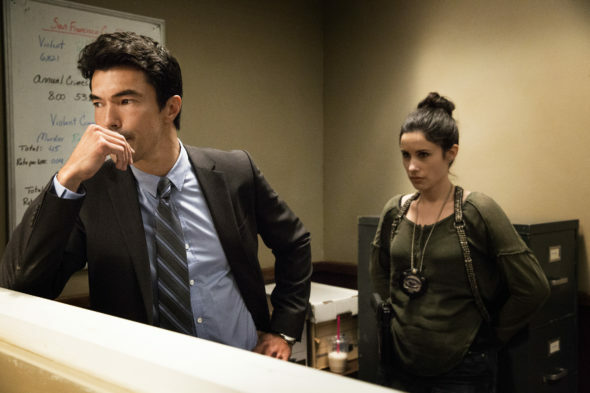 Murder in the First: Cancel or Renew for Season Three? I truly wish Hildy wore “grown up” clothes instead of dressing like a 15 year old. Would lend more credibility to her character as both detective and mother.